Worried by the abandonment of the Onna -Etinan Road which leads to the village of Governor Udom Emmanuel, the governorship candidate of All Progressives Congress (APC) in Akwa Ibom State, Mr. Nsima Ekere has promised to complete the road if elected. .
Ekere made the promise during the APC campaign rally in Onna, saying he would take the completion of the road as a priority on his assumption of office. According to him, it is not as if they donâ€™t want to do it but they donâ€™t know how to do it. The man that knows how to complete that road is Nsima Ekere. 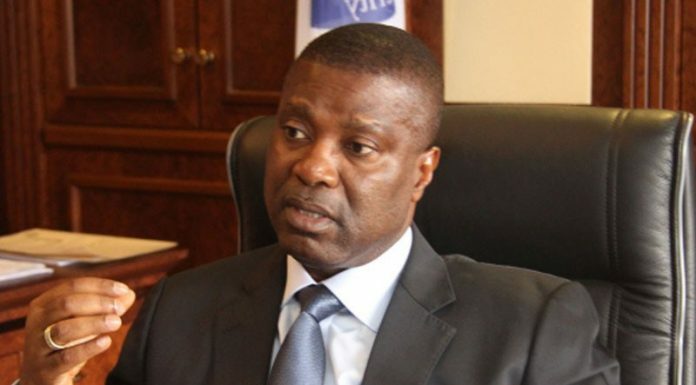 Ekere said as Managing Director of Niger Delta Development Commission (NDDC), he completed the construction of road side drains at Ikot Edor-Ukpana road and the renovation of classroom blocks in five primary and secondary schools in Ntan Ide, Okat, Ikwe, Nung Oku Ekanem and Ikot Edor villages of Onna. He said construction work on two road projects in Onna, namely Afaha Ubium â€“ Edem Idim Ishiet â€“ Ikot Akpan Road and environs and Ikot Ekong â€“ Ntafre â€“ Opolom â€“ Ikot Inyang Road, cutting across Onna, Mkpat Enin and Ibeno Local Government Areas, were ongoing under his watch before he resigned from office recently. The rally featured the presentation of symbolic insignia of the office of Governor to Obong Ekere by Archbishop Samuel Akpan, Governor Emmanuelâ€™s kinsman, on behalf of Onna people. Akpan said Onna people were willingly conceding the governorship seat to Obong Ekere because of the Governorâ€™s poor performance. Mr Samuel Mbosoh, the Onna APC Chapter Chairman, apologized to Akwa Ibom people for Governor Emmanuelâ€™s many failures in government. He accused the governor of concentrating few development projects in his village, Awa Iman, to the detriment of other parts of Onna and appealed to Ekere to locate a modular refinery, an oil palm processing mill, a fish processing mill and a garri processing factory across Onna.